The adenoid pad is a collection of tissue located in the nasopharynx, the space directly behind the nose. It is made of lymphoid tissue, similar to the tonsils in the throat. Although lymphoid tissue is primarily involved with making antibodies (which fight infection), there has never been a study demonstrating any long-term adverse effect of removing the adenoid (or tonsils). Any noticeable observations after removing the adenoid have generally been positive. At birth, the adenoid is present, but very small. Adenoid tissue enlarges steadily until about school age, when it then plateaus its growth for a few years. The adenoid pad then slowly atrophies (shrinks) into the teen years. Adults still have adenoid tissue present, but very rarely does it cause problems. Because of the location of the adenoid behind the nose and above the palate, it is not seen on routine physical examination. The tissue can be evaluated either with x-rays or by a fiberoptic telescopic examination through the nose. Adenoidectomy is one of the most common procedures performed by the Otolaryngologist (Ear, Nose, and Throat specialist). When only the adenoid is enlarged, adenoidectomy may be performed for symptoms such as chronic nasal congestion, mouth breathing, sleep disordered breathing (including snoring), or chronic sinusitis in children. Adenoidectomy can be performed alone, or in conjunction with tonsillectomy for patients with sleep issues including snoring and/or obstructive sleep apnea. Adenoidectomy may also be performed in combination with placement of ear tubes (pressure equalization tubes) to help reduce chronic middle ear fluid or recurrent ear infections. In some cases, adenoidectomy is done on patients to prevent or treat existing orthodontic problems. Improving one's ability to breathe through the nose, rather than the mouth, can optimize orthodontia results. Adenoidectomy is generally very well tolerated with minimal post-operative discomfort. TWO WEEKS BEFORE SURGERY: Stop all non-steroid anti-inflammatory drugs (NSAID’s), including products containing aspirin, ibuprofen, Advil, Motrin, naproxen and others for 2 weeks prior to surgery. These medicines may increase the risk of bleeding. Also, discontinue all homeopathic or alternative medicines such as gingko biloba or ginseng. These too, may increase bleeding. 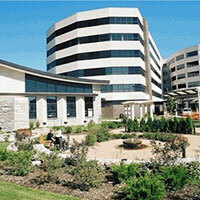 Depending on where your child’s surgery is scheduled, there may pre-operative scheduled tours of the facility. This might be educational and soothing for your child when the day of surgery arrives. Please let us know if you are interested. NIGHT BEFORE SURGERY: No solid foods (that includes milk, cream etc.) for 8 hours prior to surgery. Typically this means no solid foods after midnight before the surgery. Small volumes of clear liquid may drunk up to 4 hours prior to surgery (examples: water, coffee with NO milk or cream, tea, Gatorade, etc). If your child is still nursing, you may nurse up to 4 hours before surgery. HOSPITAL STAY: Adenoidectomy surgery for a child is usually done in an out-patient setting and does not require an overnight hospital stay. Check with your insurance company and see if hospitalization is covered by your policy. LAB WORK: If lab work is needed, it is done prior to surgery. Your insurance carrier may dictate the lab where the blood is drawn. The indications and risks of surgery must be understood prior to proceeding with the surgery. The alternative to this surgery is not to have it performed and/or continue with medical management of the problems. This would leave your child in his/her current condition. BLEEDING: Bleeding after adenoidectomy is extremely rare. Bleeding is defined as continuous bright red blood from the nose like a nose-bleed, or bright red blood expectorated from the mouth. Some children may swallow blood and later vomit it up. A small amount of bloody drainage can occur from the nose after adenoidectomy within the first 12 to 24 hours. This usually subsides spontaneously, and can be normal. If heavy bleeding occurs, it usually happens within the first 24 hours or between the 7th to 10th day after surgery, but may occur up to two weeks after the operation. Use liquid Tylenol, liquid Tylenol with codeine, or liquid ibuprofen as instructed by your doctor for pain. If bleeding occurs, call our office, (847) 259-2530. If there are any delays, go directly to the emergency room. If there is significant or heavy bleeding, call 911 immediately and then contact our office. FLUIDS: It is important that the patient drink fluids to prevent dehydration. After an adenoidectomy, a child may experience a mild sore throat. Any fluid, such as water, milk, Hi-C, Gatorade, apple juice, orange or grape drinks and carbonated beverages are all acceptable during the postoperative period. Popsicles, slushies and ice chips are also good substitutes for fluids. EATING: Eating is not usually a problem after adenoidectomy. We allow diet as tolerated postoperatively. TEMPERATURE: The patient may develop a low-grade temperature (up to 101degrees). If this occurs, it is recommended that you increase fluid intake. Liquid Tylenol also helps decrease the fever. If it persists, please notify us. EAR PAIN: Generally, there is little or no pain after adenoidectomy. An earache may rarely occur after adenoidectomy surgery. It typically is a referred sensation from the throat. Rarely is there an ear infection. Give liquid Tylenol or pain medication that is prescribed by your doctor. BAD BREATH/NASAL CONGESTION: This is produced by the healing tissues in the throat and can last up to ten days. The large amount of mucus in the throat will subside as the healing progresses. STIFF NECK: This is an occasional complaint and is caused by spasms of the neck muscles. This will subside as the healing continues. If severe, please notify your doctor. The pain medication will also help. SPEECH CHANGES: Most often, the voice changes noted after adenoidectomy are desirable. This is related to the increased space and improved air flow through the postnasal area after adenoidectomy. On occasion, some individuals may regurgitate fluid through their nose while drinking, which usually is temporary. Rarely, is this permanent. In addition, the voice may be too airy (hypernasal) temporarily. The risk of permanent hypernasality (termed velo-pharyngeal insufficiency), is rare, occurring about 1 in 2000 adenoidectomy patients. POST-OPERATIVE ACTIVITY: The child’s activity should be judged on how the patient feels, and common sense. Children may be out of school for zero to two days. Let the teacher know where you can be located in case of an emergency and also give them our phone number. Ask your doctor about activity restrictions after adenoidectomy. BURN: There is a potential risk of burn injury with cautery or Coblation. Specific precautions are taken in surgery to avoid this problem. Adenoid tissue regrowth: There is up to a 10% chance of adenoid tissue regrowth over time. This is mostly related to the child’s age at the time of surgery, as well as the cause of the adenoid overgrowth initially. TONGUE NUMBNESS/TASTE CHANGE: During adenoidectomy, an instrument is used to push your child’s tongue into a position so that the surgery can easily be performed. The pressure from the instrument on the tongue occasionally can cause the sides or tip of the tongue to feel numb, or cause a temporary change in taste for a couple weeks. Sometimes parts of the tongue will swell for a few days. Additionally there is a remote risk of tongue weakness or partial paralysis from the mouthpiece. These problems are rare and typically subside spontaneously. Extremely rarely would these be permanent. As with any type of surgery, the risks of anesthesia such as drug reaction, breathing difficulties and even death are possible. Please discuss these risks with your anesthesiologist. 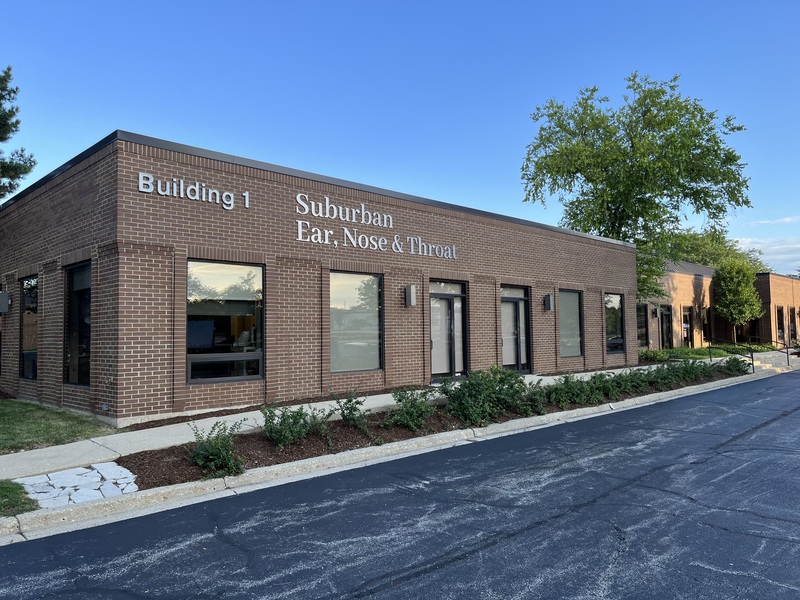 At Suburban Ear, Nose and Throat Associates, Ltd., we go to great lengths to try to help you understand your plan of care. If at any time during your care you have questions or concerns, please call us at 847-259-2530.